What a lovely twist on polenta! And the note – making the leftovers soupy before storage – is very helpful advice. Okay…I know I said we were food soulmates before, but we have to break up now: I am a lover of polenta, but have not taken to any sort of pumpkin thing besides pumpkin seeds. Aawwww, so sorry. Don’t you even like pumpkin pie?!! Only if I can drown it in whipped cream, so I’m not quite sure that counts, haha. I’ve always been more of a pecan girl as far as holiday pies go. I love polenta and this is delicious, seasonal twist, thanks for sharing your idea! We love polenta here too, adding pumpkin to it is a great idea, but it will have to be fresh pumpkin, the only place to find it canned here involves a trek to the importer USA foods. Ah the polenta frisbee. I intentionally make thick polenta and chill it in a slab tin. It’s delicious cut into bars, lightly oiled then baked until golden crunchy on the outside. You’re right about the frisbee! I love polenta both ways. Such good stuff! I saw your recipe this morning and made it tonight, served with grilled pork chops and lemon garlic Brussels sprouts. It is easy and delicious! My daughter and her friend called it ‘amazing’. Her friend asked for the recipe, so I’m passing it on and looking forward to more of your brilliant pumpkin recipes. Thanks, Mimi. This is a great one! hmmm that sounds like a perfect meal! Thanks! i just made one and it totally damn delicious!!! 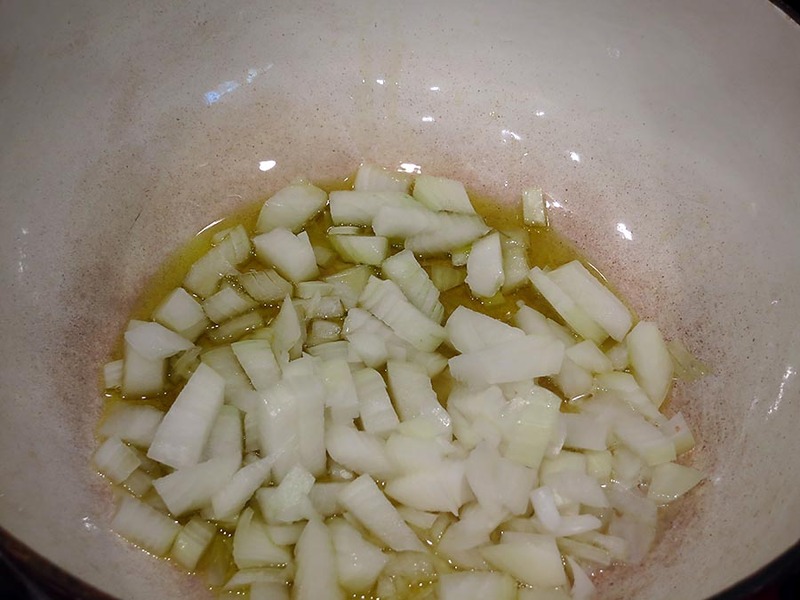 i also add my homemade chinese sausage on it…. Looks delicious. 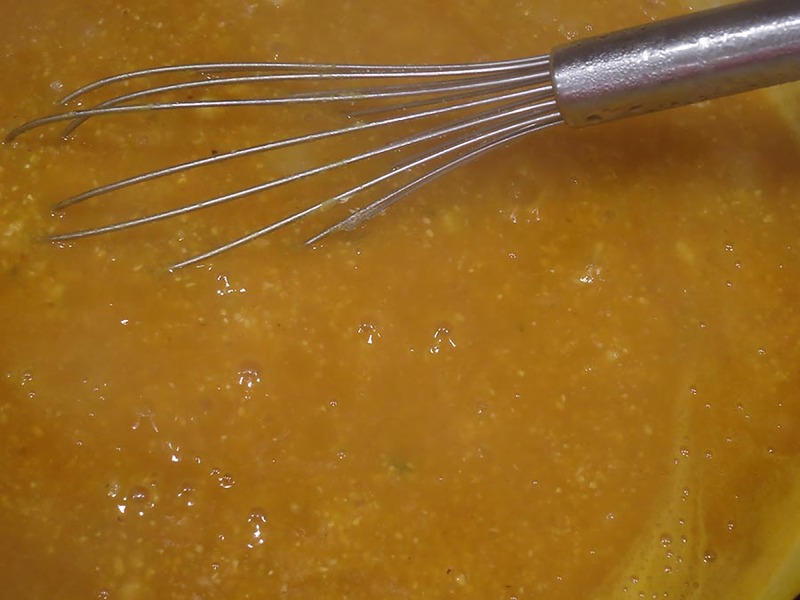 What a good idea to add pumpkin to polenta. I think it would make a great side for roast pork. This really does sound delicious. I would have bought a pumpkin at the farmers market this morning had I seen your recipe sooner. I really love canned pumpkin, but of course it has to be good quality. Whole foods sells one that comes in an aseptic carton, as well as sweet potato. It’s quite useful. Thanks for the tip. I’ll be sure to check both out. Great use of polenta, Mimi. It can be hard to manage and one can end up with rubber! Love this one. Polenta is underrated in Australia, it is such a great versatile ingredient! Oh that’s too bad! Maybe you can change that! To me, it’s as fun and versatile as risotto except that it has a corn taste, obviously! All I can say is “oh my goodness!” Fantastic recipe, Mimi. So tasty and very appealing! 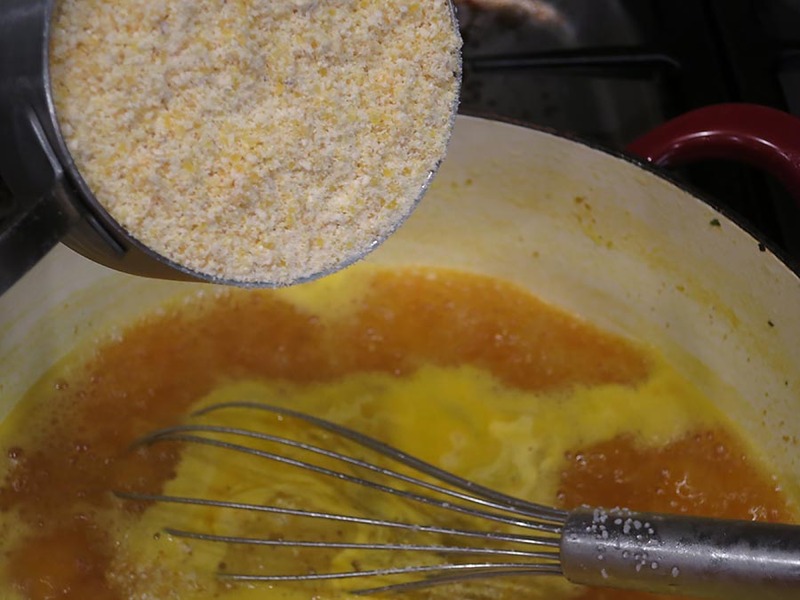 What a great idea for polenta. I never was a polenta fan but my husband loves it and I’ve actually come to really enjoy it now. I’m cracking up though because of your comments about how it can triple in volume and I think that’s why I had problems eating polenta. I’d eat maybe just a little too much then have something to drink and I can tell you that tossing down liquids on top of polenta will definitely increase the volume even in your belly. oooh, has never occurred to me to do pumpkin + polenta in a dish together. You’re v clever – looks delish. That looks delicious! Bring on fall! I know. It’s supposed to be 83 here today. Ugh. 58 here in Chicago. I’m like you, adding pumpkin to just about everything during October and November. So this really caught my attention as I’ve not yet thought to add it to polenta. Great idea!